Oops! They got me again! 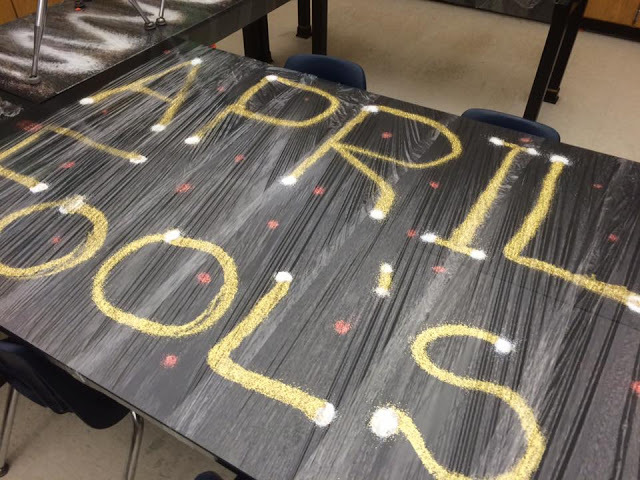 Several years of pranks by members of the class of 2015, and you would think I'd expect something. I guess I sort of let my guard down due to the fact that there was no school on April 1. This morning when I arrived to my classroom, nothing looked out of place. I attended to my routines --- turning on my laptop, turning my keurig "on", and selecting my favorite Pandora station. I always do my grading and/or lesson planning in the early morning, so next I sat at my desk. As I sat down fully, my chair exploded with one of the loudest, piercing sounds I've heard. At first I thought it was the thunder from the severe storms that passed through Lakeview this morning, but the sound continued for a while. 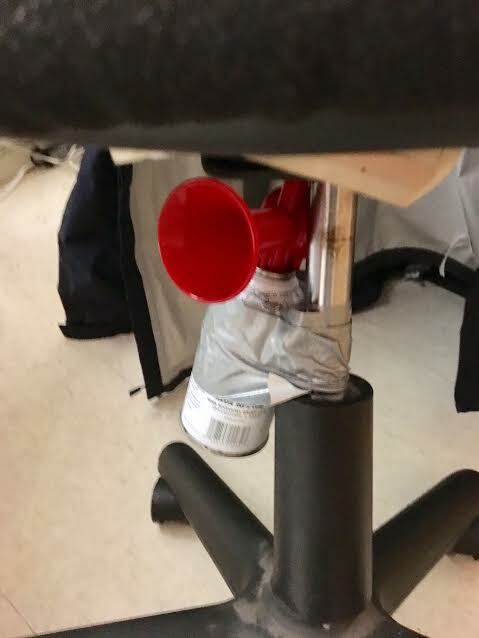 To my amazement, an air can attached to the bottom of my desk was duct taped exactly at the point where my chair would hit it when I sat. WOW! This is an awesome prank. You got me good. Thanks to Gifford, Erik, and Bennett for keeping the tradition alive. Years past: click HERE 2016 and HERE 2015! That was an epic and good-natured prank, and I bet it made you jump a mile high out of your seat. They got you good ...what a fun tradition! You're a good sport. It shows how much your students like you, they feel comfortable to joke around. Priceless! You obviously taught them well. Oh, I love it! This just shows what an awesome teacher you are, Ron. Your students adore you! OMG how funny! They got you good!! Yay! 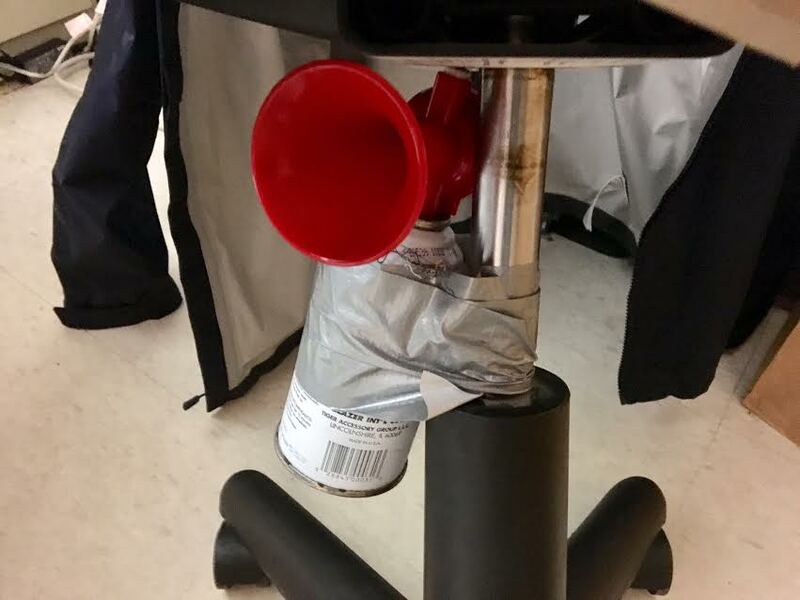 Always loved good-natured pranks during my 33-year high school teaching career--as well as everything else about those years (except grading tons of English papers!). Great creative spirit in those boys and similar acceptance in your good-natured leadership! 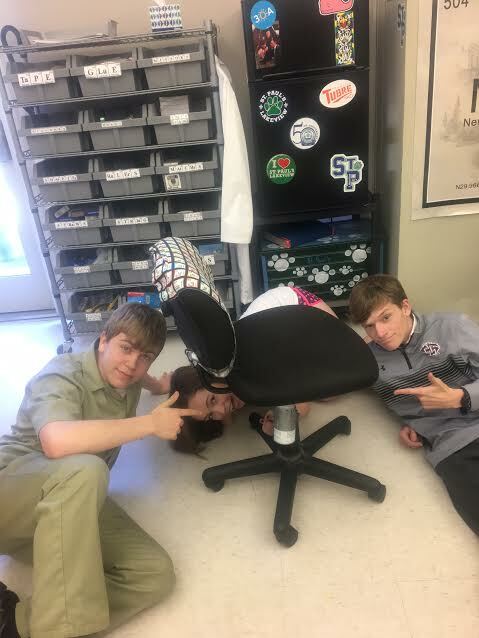 My favorite part of teaching! The building of relationships with the students. How awesome! !